Make some super cute and festive Christmas snowflake potholders, hot pads or trivets for gifts this year using this crocheted snowflake pattern. This pattern is really awesome because it is simple and beautiful, is quick to make and looks great. This pot holder is worked in two parts the back side and the front side which are then joined together to create a strong, thick, awesome potholder perfect for little gifts or for decorating your kitchen in the festive season. Watch the video tutorial below an follow along to create your own beautiful and festive crochet snowflake potholders. and I love this cotton in colors white sparkle, taupe and brown. 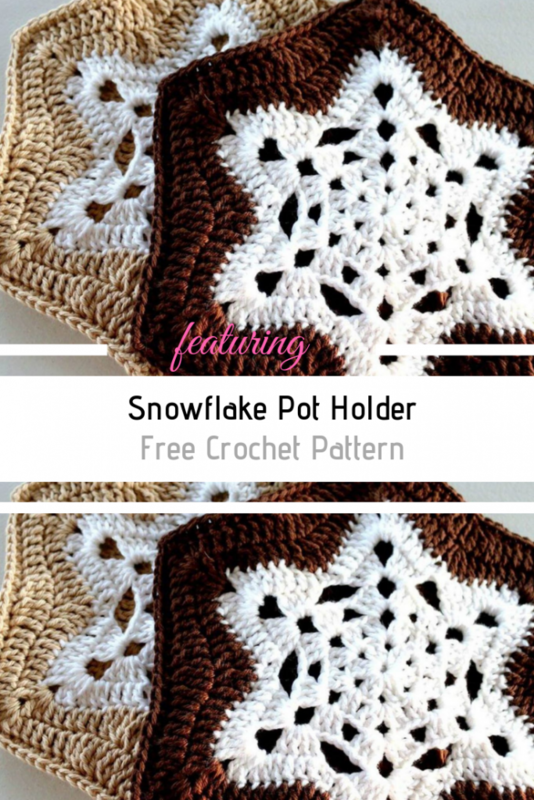 Get the pattern: Snowflake Potholders Free Crochet Pattern. Thanks to Jonna Martinez for the article inspiration and featured image.